Jaguar’s first electric car, the I-PACE will rival Tesla’s previously-unparalleled dominance of the high-end electric car market. Undoubtedly one of the most revolutionary models of the British manufacturer’s history, the I-PACE promises incredible power and impressive battery charge life. But what makes the Jaguar I-PACE so special? We look at its unique features to let you decide. With prices for the Jaguar I-PACE starting at a little over £63,000, the latest Jaguar comes in at considerably less than the entry-level Tesla Model-X. 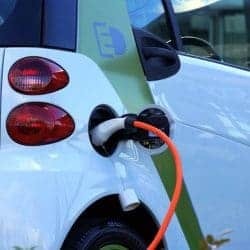 What does this mean for consumers searching for luxury-end electric cars? More options for consumers will mean stiffer competition. Never a brand to disappoint, the I-PACE delivers almost spec-for-spec against the Model X, and this rivalry is only set to continue. In line with its sports car counterparts, the I-PACE SUV boasts a speed of 60mph in 4.5 seconds – or 0-100km/h in 4.8 seconds – thanks to instant torque and all-wheel-drive traction. The electric motor technology is similar to that found in the I-TYPE Formula E racing car, meaning you’re getting the same incredible power and agility you typically expect of a Jaguar packed into an SUV. The I-PACE electric motor technology gives you 400PS and 696Nm in torque. Not only is this impressive, but these statistics also keep the I-PACE in line with the closest competitor, the Tesla Model X. Convenient and user-friendly, the Jaguar I-PACE is easily chargeable at most public charging stations with its 50kW rapid DC charger. 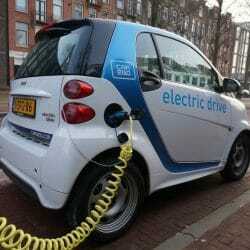 Although ranges vary, you can expect a charge life of 270km of range per hour. What’s more, the state-of-the-art battery design and thermal management system allow for sustained periods of maximum power and longevity – the heat pump and ventilation processes place as little demand on the battery as possible. The battery positioning itself provides a low centre of gravity which benefits the vehicle’s dynamics on the whole. The Jaguar I-PACE boasts zero tailpipe transmissions, given its status as an all-electric performance SUV – you’re getting the same performance you’ve come to expect from Jaguar, all while being eco-friendly. Even more impressive is the simplicity of the I-PACE transmission. There are no lags or gearshift interruptions – just unbroken speed and acceleration. Jaguar is introducing Torque Vectoring by Braking – controlled, independent braking for each wheel of the car, increasing driveability and driver confidence. Be prepared for incredible cornering and refined braking in all weathers and conditions. Are you looking for high performance and range? The I-PACE reduces the space between the road and the car for increased performance and stability, particularly at higher speeds. The system continually monitors steering, braking, and general driving activity to optimise the suspension and dynamics of the vehicle – giving you the personal touch. And if you’re keen on increasing the I-PACE’s sports performance, switching modes allow you to customise your preferences thoroughly. You’re not compromising on maneuverability or sports-car prowess with the I-PACE SUV, giving you the best of both worlds. This vehicle is, without a doubt, the most impressive Jaguar model to date. The I-PACE deviates slightly from the design we’ve come to expect from Jaguar, but with enough standard features to appeal to long-term customers of the brand. The slim, flowing and aerodynamic new design elements increase performance and speed, while still retaining the traditional elegance of the Jaguar range – particularly the F-PACE SUV. 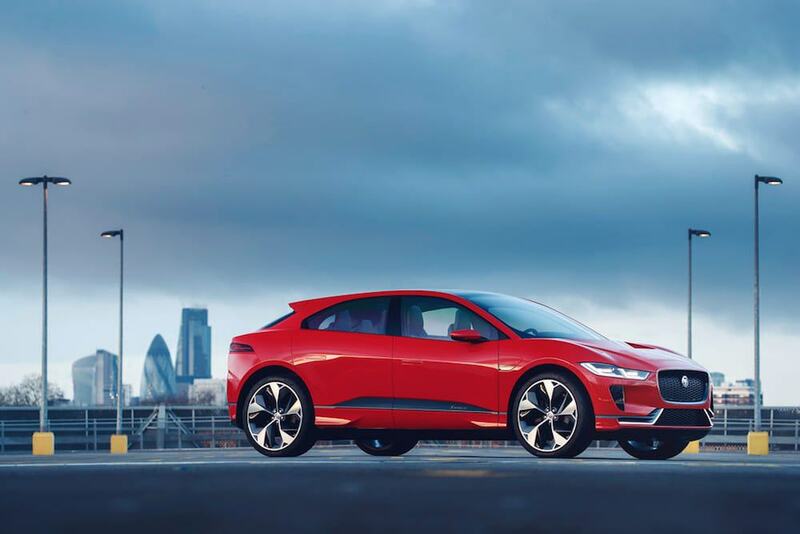 Standing as distinct from its counterparts but still very much part of the family, the I-PACE may bring a plethora of new buyers to the brand – in fact; Jaguar predicts this will be the first electric car many people own. You’re still getting your classic, stunning blend of a sports car and luxury with the I-PACE. White illumination highlights the finer details at night, and the handcrafted finishes reinforce the high-end craftsmanship of the brand. 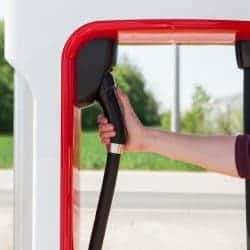 The heat pump technology doesn’t just improve battery performance – it also allows full climate control inside the vehicle without depleting the power. Temperature control is yours at the touch of a button – remotely or through a smartphone app, if you wish. Spacious and refined, you can expect noise-reduction and a peaceful, tranquil drive. What’s so special about this model is the compact, smaller footprint on the outside but the remarkable space inside, including luxurious storage space and interior accessories. The I-PACE is practical but sleek – a difficult combination to find. The I-PACE showcases not one but two touchscreens for your convenience – all fully controllable by touch or through a smartphone app. Designed to be efficient and user-friendly, you can keep an eye on your charge status, navigation and media at the same time. Want something even more dazzling? Opt to include the Head-Up Display and see critical details such as distance and directions displayed on the windscreen. High resolution and crystal-sharp audio make this the full pleasure driving experience. In addition to the load space, storage, and user-friendly technology, the Jaguar I-PACE does not disappoint on the safety front. For the increased confidence and comfort of both driver and their passengers, the batteries are rigidly-protected, and there’s a comprehensive system of airbags included as standard. To keep pedestrians safer, the Jaguar emits sounds at low speeds to make passers-by aware of its presence. Even better is steering assist features and cruise control for both long-distance and city driving, keeping you in your lane and a safe stopping distance from other vehicles. Are you feeling tired? The I-PACE detects sloppier driving motions and warns you if you need a break, helping to keep you, your passengers and others safer. The I-PACE truly has everything covered. With its original, cutting-edge features, you can expect a whole new generation of buyers to be impressed by the Jaguar I-PACE. Arguably, this is what Jaguar needs – to keep ahead of the competition by attracting new customers, but maintain the loyalty of its solid consumer base. 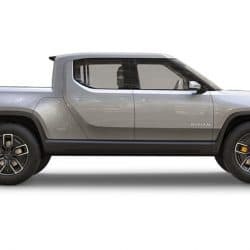 Will it prove more popular than the Tesla models? It’s impossible to say. But what we can say for sure is that Jaguar is heading in the right direction.